Gyeonghuigung Palace is a strategic and serene palace tucked to a small hill in Seoul. It is the highly-strolled palace due to its relaxing surrounding and proximity to the urban Seoul City offices. Literally, ‘gyeonghuigung’ means a serene palace. Indeed, it is! Gyeonghuigung Palace is located in Sodaemun District. 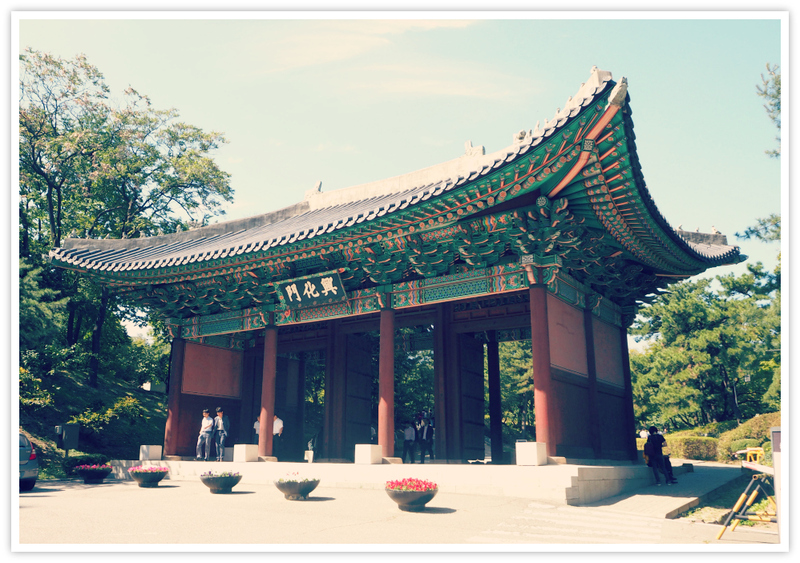 It is the closest palace to Deoksugung Palace in Seoul. It was told that both palaces used to be linked together with a footbridge for royals to walk through. Through time, the link between the two palaces got dismantled. Nowadays, you can only see towering Seoul buildings between them. I know this palace quite well because we use to take a walk around it every after our lunch. This palace is small, but it was much bigger and its land area much wider then. About over a hundred structures got burned down during fire incidents in the past, and only the granite stones left on the ground. And during the Japanese occupation, some halls that remain were also destroyed and a school was built on top of it in 1908. However, as you can see, the place has been rebuilt. Most of the important buildings, anyway. The original structure, style, and major buildings were rebuilt based on the original architectural plan. She’s still beautiful! Since its restoration, visitors and tourists alike would come to see the place and reminisce about its grandeur. Movies and soap operas are being shot inside the palace or around it. It seems that they are successful as most Asian countries love the Korean soap operas. Yes, I have seen many times crew members and some actors with their traditional Korean dresses and clothes getting ready for action. Every time we have a visitor, we would usually show this place and its surroundings. One can still see the thrones for kings and queens inside the main and more prominent building in the middle of the palace. It was said that there were about 100 small and large buildings in the ground of this palace. Guiding our visitors to this place with accompanying bits and pieces of historical explanations still don't bore me up until this time ^^. What I like most about this palace is its sense of serenity. That's probably because it is located away from the main roads of the bustling Seoul City life. Another reason might also because it is close to a hill that protects it from noise, which also gives it a fantastic greenish backdrop. 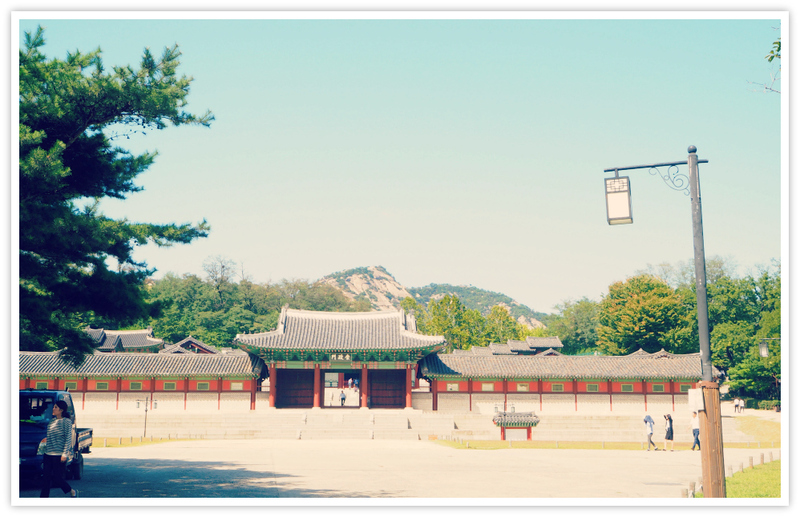 Now, let's take a look a bit of Gyeonghuigung Palace's historical facts and dates. Gyeonghuigung was built in 1616. It is the least visited among Seoul's Five Grand Palaces. Nevertheless, it is a pretty and peaceful place worth your visit. 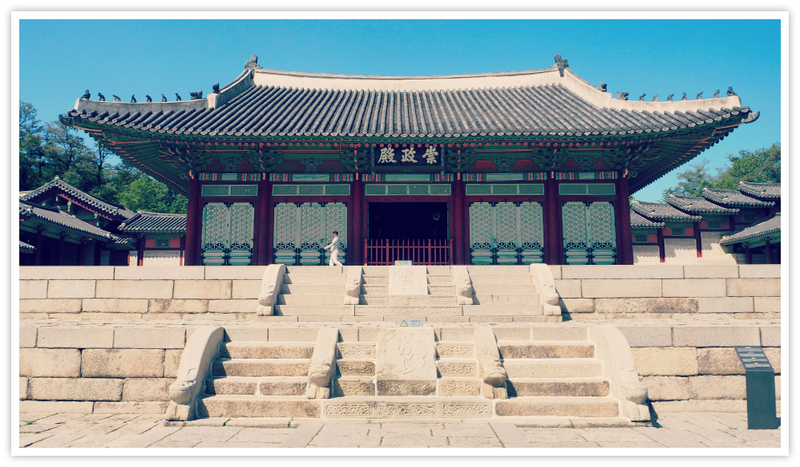 During the Joseon Period, this palace has been used as a secondary palace for the kings. Being located in the western part of Seoul, Gyeonhuigung was also known as 'seogwol' or the 'palace of the west.' It is only in times of danger and emergency that a king would use this as his secondary place of refuge or shelter. Gyeonghuigung was completed in the 12th year of Gwanghaegun's reign in 1620. The completed palace was composed of more than 100 halls, but most got burnt down during the two separate fires, during the reign of King Sunjo in 1829 and during the reign of King Gojong. The remaining halls were destroyed during the Japanese occupation and where a Japanese school was built on the same ground instead. 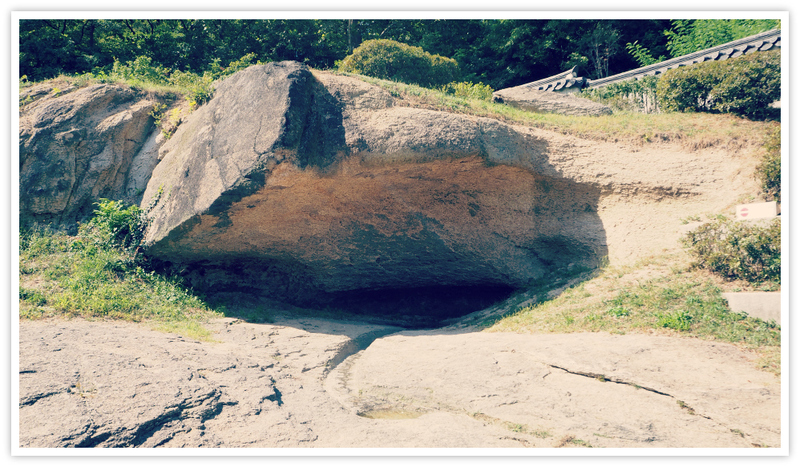 There were about ten kings of Joseon Dynasty who took shelter at this very place, from King Injo to King Cheoljong. When Korea was liberated in 1946, Seoul High School was built on this ground and has been used until 1978. 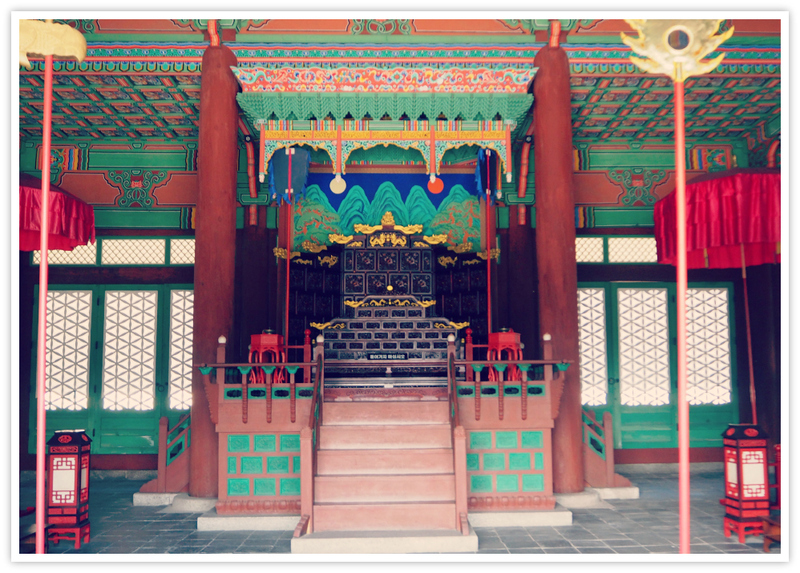 Since in 1985, many structures in the palace have been reconstructed including the Sungjeongjeon Hall, where you can find the thrones of the king and the queen. In the 1990s, the Korean government took the initiative to reconstruct the 'Five Grand Palaces' located in the Seoul area. For various reasons, it has been said that only around 30 percent of this palace was rebuilt. The other palaces also suffered the same fate, such as getting burned down (partly), but the governments in the past decades have been restoring most of them. For the obvious reasons that they are part of the Korean culture and heritage. Personally, I like this gate because it looks grand and imposing presence as you enter the palace’s front ground. It has a high roof which is similar in style to most gates in Korea. I especially like its round and huge wooden columns that support the heavy weight of the whole intricately-carved wooden structures and tiled roof. Heunghwamun is its name. It is the main gate of Gyeonghuigung Palace and where you can directly see the present buildings. The original site of this gate is just next to the Salvation Army Center facing Jongno avenue. I guess, it was moved here closer since the original space shrunk due to the presence of the new structures belonging to its original grounds. During the road expansion in 1915, Heunghwamun was sold and planted as main gate of Bakmunsa (a temple) where you can find the present Shilla Hotel. This gate was later on returned to its present location in 1985. Just look around the palace especially inside the main hall where the King and Queen sit to entertain guests. Right in front of this hall is the square where the King gives orders or proclaim a decree while his officials sit in front each with their names carved on granite stones. See the small garden at the back of the palace (still inside the palace ground), and the small spring which was said to be the one used by the royals as drinking water. The small spring gushes from below the colossal granite stone forming like a small cave. Although you are not allowed to eat or drink inside the palace, you are allowed to spread your mats outside the palace and can enjoy your picnic. In front of the palace (outside the palace walls) is a very spacious open ground, which is available for various activities. Selfies and photoshoots are ideal having the palace and its backdrop verdant hill (and Bukhan Mountain further behind) as your fantastic background. Adults who are interested in learning or studying about Gyeonghuigung Palace are very much welcome. Visitors who are using wheelchairs might find it difficult to get it, but it is not impossible if you have somebody who can lift you over a block of wood at the main gate. Children would find it very easy to explore and not worry about getting lost. Only, adults should remind their kids to watch themselves when they are on some high spaces. Usually, I see elementary children come here with their teachers and explain to them the history of the place. It is also usually followed by photo-shooting! At the main gate, you can ask for a pamphlet about the palace. There is no entrance fee to this national property. Please, use the following details to find the site quickly. You will know that you are getting close to the palace if you see Seoul History Museum. It is located just behind the museum. Thanks for visiting this blog. Hope this helps you find what you are looking for. If you have questions related to this subject, please let me know.